There is no denying the power of Instagram, especially if you take into consideration the recent statistics. Although I cannot phantom why people would ever be interested in what someone else had for breakfast, or how their cup of coffee looks in the morning, the popularity of such photos is incredible. Instagram has become one of the most powerful business promoters which is also extremely convenient. All you have to do is to post a funny photo from time to time, or something relevant to your brand. Obviously, you should also use hashtags to organize content better. There is also a feature that you brands might be particularly interest in: Instagram’s videos. The videos on instagram can be 15 seconds long, and they can be edited just like photos. You have the awesome Sierra, Toaster, Brannan, Lo-Fi and many more effects that will add an unique twist to your videos. Depending on the image that you want to achieve, you can make use of this effects, brand your videos and market them. 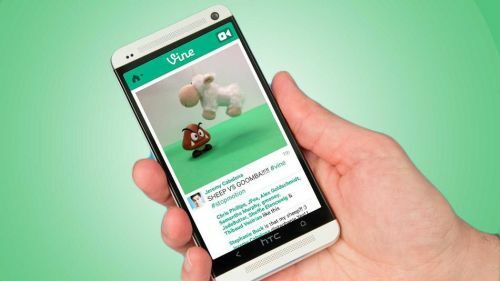 Considering Twitters massive audience (over 130 million active users), it should come as no surprise that Vine has become so popular in such a short time. Nevertheless, do not underestimate the capabilities of Vine. This great social media platform was designed with one thing in mind: visual content creation, marketing and sharing. Sadly, although Vine managed to raise the interest in videos, Instagram did not wait long to counter its move. It will be a difficult task for developers to find a way to outclass Instagram users. The fact of the matter is that Vine has helped brands rethink their marketing strategies, and it also puts a high price on short yet significant content. All in all, these adolescent platforms may not have reached their final form, but the future looks bright for both. Considering that visual content is becoming increasingly popular, it should not come as a surprise that the huge social media platforms are looking for alternative mediums for promoting businesses. Janice Winchester has a passion for books and social media platforms. She has been working as a content developer for over three years. She advises people who are interested in pursuing an online career to learn more on guestpostshop.com.